Look, I have a good feeling that Halo 3: ODST is going to be a great game. The trailers look great, the gameplay footage I've seen looks smooth, and additions such as the Firefight co-op mode seems really fun. But that doesn't mean I don't have a lot of questions about the overall package. That's because I'm not sure how exactly I should perceive the game. Is it a full retail game? Is it an expansion? Those questions remained unanswered. "I'll be the first to admit it, I'm still a bit puzzled about what kind of experience Halo 3: ODST will offer. It's not that I'm new to the Halo universe, as I've put in countless hours into Halo 1 through 3. It's my favourite first-person shooter franchise. You see, the reason I'm so confused about Halo 3: ODST is because the project has evolved rapidly from its description given at the Tokyo Game Show back in October 2008. It's a game that strangely enough, has been defined just as much by what it's not, as what it is." If you're interested in exploring this idea further with me, check out my thoughts on Halo 3: ODST. we need to stamp out foot at the fact that Firefight has NO Matchmaking and the game should be slammed and rated accordingly. Well, its releasing soon now, i guess on 22nd this month? well, i think you should checkout its gametrailer and you would be baffled, its surely going to rock the scene. What about my gay? What did he do? 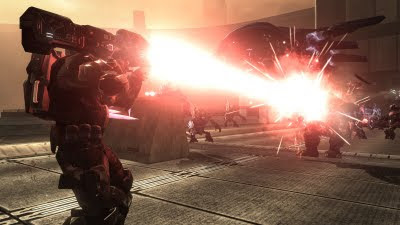 no match making,, meaning its a friend list thing.. Not exactly a deal breaker.. 99 friends can get the invite.. ODST is a shooter for sure but the are shooting for story as well.. Not just a empty suit..